This large residential redevelopment project in London required a variety of window treatments throughout, both electric and manual, to work with the contemporary environment created by the designer. 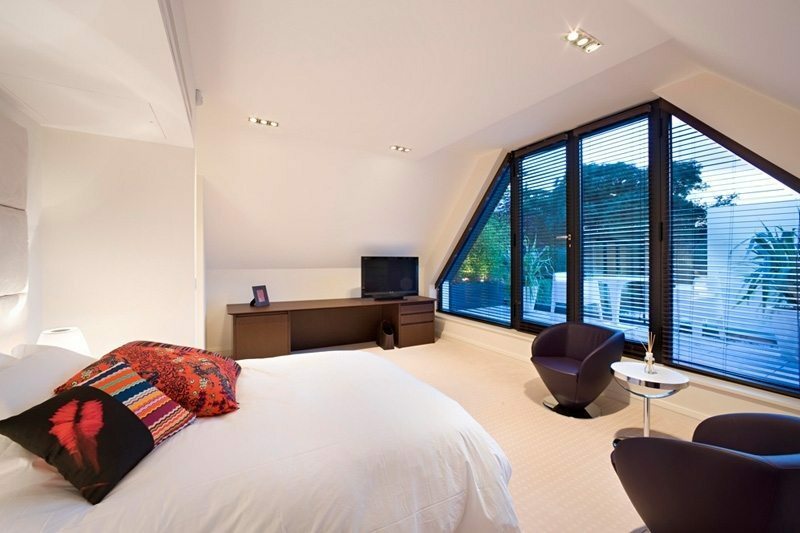 Lutron electrically operated curtain tracks with heavy curtains were installed in a number of areas in conjunction with Silent Gliss manually operated curtain tracks with sheer curtains. This provides the client with an ability to select the level of privacy and natural light control as they wish through means of the home control system or by hand. 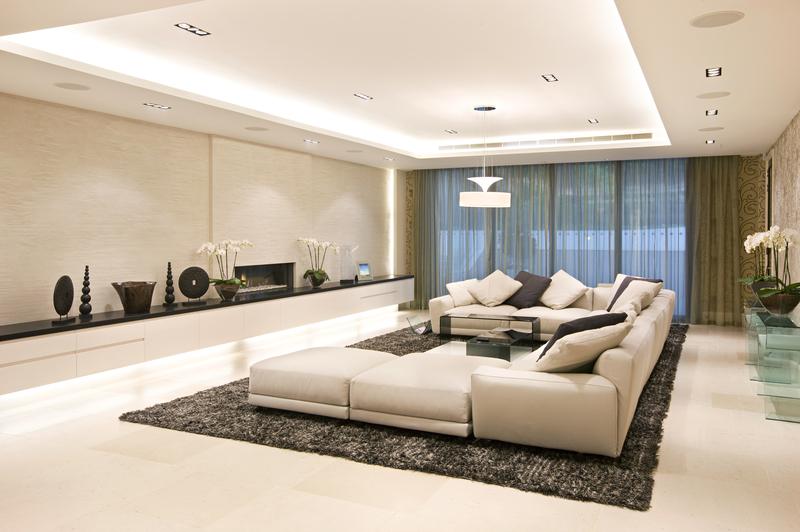 The Lutron Panel Glide systems in a fresh white privacy fabric add a sleek and clean feel to the Living Area, enhancing the contemporary environment. 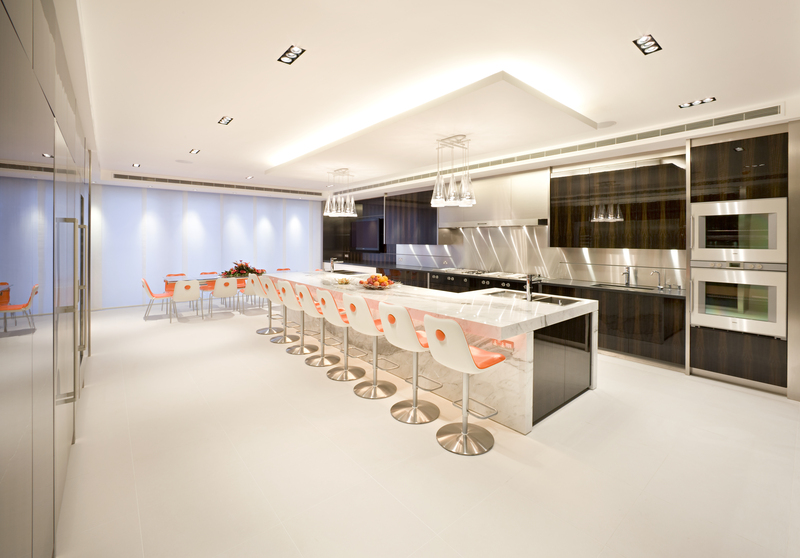 All curtain tracks and Panel Glide systems were installed within ceiling recesses ensuring an neat finish to each room. Some of the bedrooms at this property presented a particular challenge with irregular shaped windows; to ensure that large expanses of wall space were not taken up unnecessarily we installed shaped Venetian blinds which emulate the contemporary feel of the interior whilst allowing as much or as little natural light to enter the space as required.